HTC has finally released their 2016 flagship, HTC 10. It tries to stand up from the competition with great software and good camera. HTC 10 was leaked and teased for a while but now it goes official. The design is just like in the leaks, a premium metal chassis with huge chamfered edges. Gone are the Boomsound speakers and a fingerprint scanner is replacing the lower speaker. The scanner also acts as a home button and there are two capacitive navigation buttons on each side of it. The 12 “ultrapixel” camera is a little protruding even though the device is quite thick for 2016 at 9mm. The front facing camera is 5 “ultrapixels” and has its own OIS for steady selfies. The front facing speaker grill is still mentioned to provide excellent quality and it’s joined by another speaker at the bottom of the device next to the Quick Charge 3.0 certified USB Type-C port. The 5.2″ display is still LCD but HTC calls it Super LCD5. The resolution is QHD 1440p with 565PPI. Under the bonnet, the HTC 10 has the typical 2016 flagship hardware. The Snapdragon 820 is joined by 4GB of RAM and 32 or 64GB of storage with microSD support for up to 2TB cards. The battery capacity is pretty lame for the 9mm thickness, 3000mAh. The camera is said to be the best smartphone camera out there. It’s much said with HTC’s record of bad smartphone cameras over the years. The pixel size is 1.55µm, aperture is 1.8 and the whole thing is optically stabilized. The camera also records 4K video with 24-bit sound. Tests will show how good the camera really is. This year HTC has some good news about their software. They have got rid of all the duplicate apps like browser, calendar and calculator apps and the phone only ships with Google apps. The HTC Sense is still very present in everywhere but luckily it has always been one of the fastest UIs out there and HTC has been good at updating their phones despite the skin. 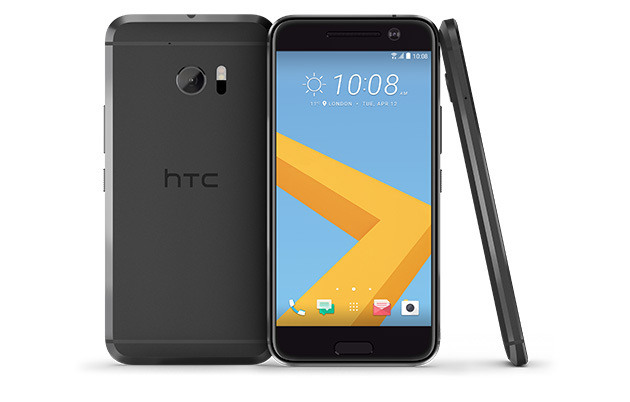 The HTC 10 will be available in three colors, gray, silver and gold. Preorders were supposed to start already but at least we can’t get through. Price is $699 but the page doesn’t tell for witch model, 32 or 64GB. It sounds quite steep for 32GB model. Huawei has revealed their much teased P9 flagship smartphone in London. The bigger P9 Plus is also quite impressive. Huawei P9 is yet another flagship phone for 2016. However, to stand out from the competition, the P9 packs dual 12 megapixel cameras with Leica lenses. One of the cameras only takes monochrome pictures which sounds weird but actually has great benefits. The sensor doesn’t need the RGB filter which reduces the amount of light reaching the sensor. Working together these two cameras can therefore take pictures with much better contrast and color reproduction. Other specs include a 5.2″ 1080p IPS display, Huawei’s own Kirin 955 chip, 3/4GB of RAM, 32/64GB of storage and a 3000mAh battery. The Kirin 955 isn’t the fastest SoC out there but there are still plenty of power coming out of those four Cortex-A72 and four Cortex-A53 cores. The front facing camera is 8 megapixels and if it’s the same sensor that’s in the Nexus 6P, I can personally recommend it for anyone looking for ridiculously high-quality selfies. The operating system is of course Android 6.0 with Huawei’s skin. Design is typical Huawei. Absolutely brilliant materials and colors with a good build quality all around. The P9 is only 6.95mm thick with no camera bumps, an impressive thing to notice for other manufacturers like Apple and Samsung as well. Also on board is a USB Type-C connector with quick charging capabilities. The bigger brother, P9 Plus picks up the same design but in bigger scale. The display is 5.5″ and still 1080p but picks up Super AMOLED technology. The battery capacity also grows to 3400mAh. The Plus model is only available with the 4/64GB configuration. Availability starts from Europe and Middle East on April 16th and is supposed to spread worldwide soon. The 3/32GB P9 will cost 599€ and the 4/64GB model is 649€. The Plus model is priced at 749€. All prices include the European tax so expect lower prices in the States. Intel has updated the Xeon lineup to Broadwell to bring even more power to servers and supercomputers. The new Xeon processor lineup uses the 14nm Broadwell manufacturing process. The most powerful Xeon E5-2699 v4 processor has 22 cores and can handle 44 threads. It has massive a 55MB cache and uses 145W of power. The clock speed of this monster is only 2.2GHz to keep the temperature and power consumption low. As the new feature of Broadwell, the Xeons can now handle up to 24 RAM DIMMs in dual CPU motherboards. Also in is the Intel Scalable System Framework architecture to improve High Performance Computing (HPC) performance. There are 27 new Xeon processors. Full list of their specifications can be found in the Intel press release linked below.